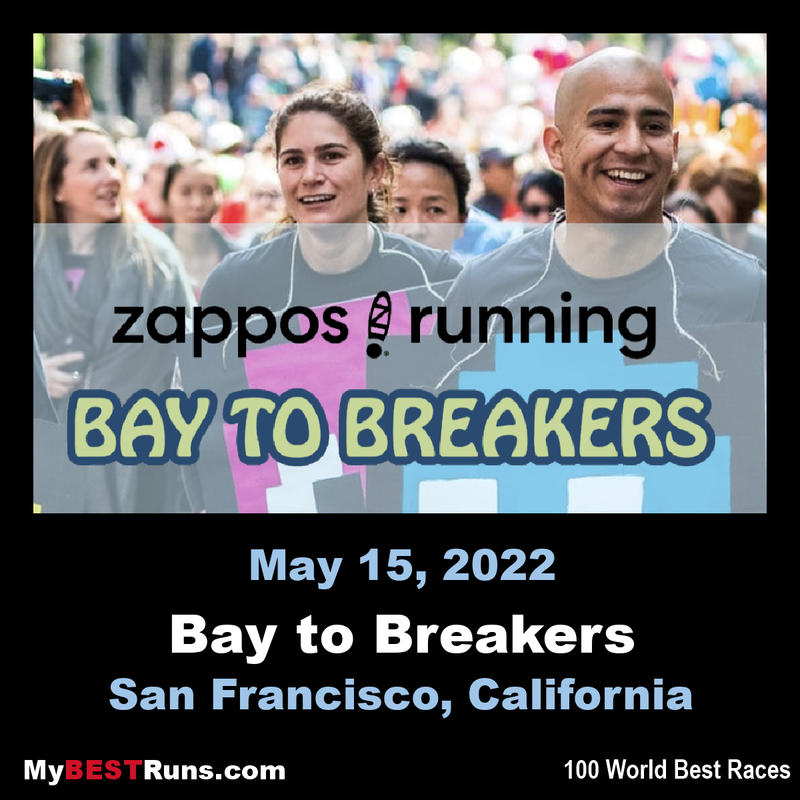 San Francisco’s Alaska Airlines Bay to Breakers is an annual footrace operated by Wasserman Events and has run continuously for over 100 year as a staple to the City by the Bay. With a starting point near the San Francisco Bay, a few blocks from The Embarcadero, the 12K race runs west through the city and finishes at the Great Highway where breakers crash onto the Pacific Coast’s Ocean Beach. A quintessential San Francisco experience since 1912, the race is interwoven into the fabric of the city and is a true reflection and celebration of life between the breakers and the Bay.